Bellator MMA continues its tour through Europe when it heads to 3Arena in Dublin, Ireland, for Bellator 169. This isn’t the typical Bellator card, though. It will be accompanied by BAMMA 27, which makes up the preliminary portion of the card. The headliner of the main card features Muhammed “King Mo” Lawal, who will once again step up to heavyweight when he goes up against Satoshi Ishii. 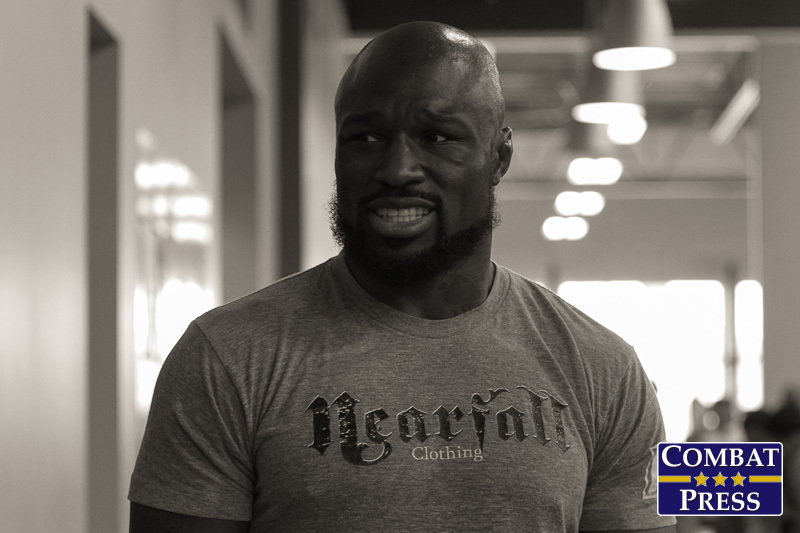 Lawal has fought once before at heavyweight under the Bellator banner, beating Cheick Kongo by split decision. Lawal lost his last fight against current light heavyweight champion Phil Davis by unanimous decision. That loss snapped Lawal’s seven-fight winning streak. Ishii is on a two-fight skid. His last fight was a split decision loss to Quinton “Rampage” Jackson at Bellator 157. The co-main event features Ireland’s own James Gallagher in a featherweight battle against Anthony Taylor. This will be Gallagher’s second fight for Bellator. He won his first Bellator outing against Mike Cutting at Bellator 158. The preliminary card will be composed of BAMMA 27, which is headlined by one of the bigger prospects not in the major promotions. That prospect, Tom Duquesnoy, defends his bantamweight title against Alan Philpott. Much like previous European trips by Bellator, the Bellator 169 main card will air on tape delay on Spike TV at 9 p.m. ET on Friday, Dec. 16. Muhammed “King Mo” Lawal is best known as a light heavyweight, but he will hop up to the heavyweight division for the occasional fight. 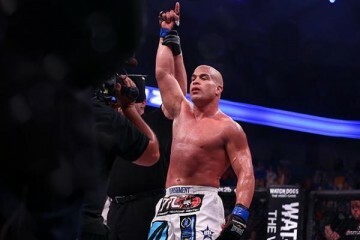 He’s done it before as a member of the Bellator roster and walked away with a split decision victory over UFC veteran Cheick Kongo. Now, King Mo is back in heavyweight action against Japanese judoka Satoshi Ishii. 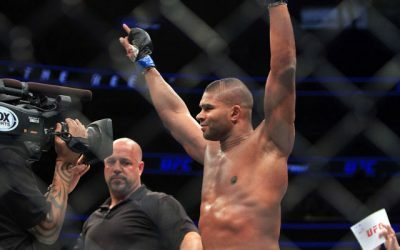 Does Mo walk away with another heavyweight victory, which would make him 4-0 overall as a heavyweight and 7-0 if we count the 220-pound tournament he won under the Rizin banner? 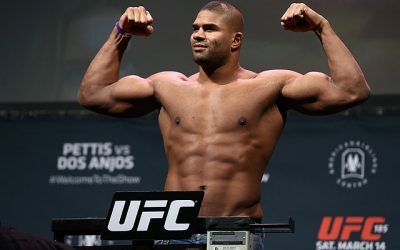 If he defeats Ishii, should Lawal stay put in the heavyweight division and make a push for Bellator’s heavyweight crown? It would seem that staying put at heavyweight is the logical choice for Lawal. He didn’t get a victory over current light heavyweight champion Phil Davis in their first go, which limits his upward mobility at 205 pounds. A second loss to Davis would make this a more definitive and easier choice for Lawal to make, and one more run at light heavyweight isn’t totally outrageous. But, yes, a victory here should give Lawal reason to pause and consider his next move. Lawal should walk away with another victory at heavyweight, too. 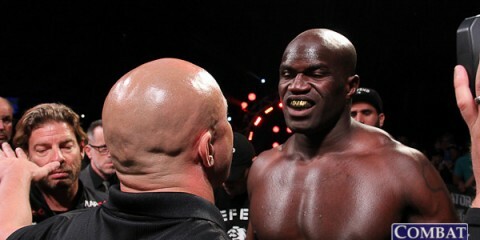 It seemed as if Kongo would be able to use his size advantage effectively to silence Lawal. Instead, Lawal used his wrestling to make it a close-distance fight and win the contest on the ground. Lawal has been surprisingly effective in the division. The size is about equal here against Ishii, and the edge in both the ground and stand-up areas go to Lawal. Lawal doesn’t typically stray from the wrestling game plan unless he goes beyond the confident realm, drops his hands and goes for the knockout. Ishii could provide Lawal with a safe target in this regard. Ishii is more grappler than striker, and his judo background should at least somewhat help him in defending the takedown. Ishii just lost to Quinton “Rampage” Jackson. 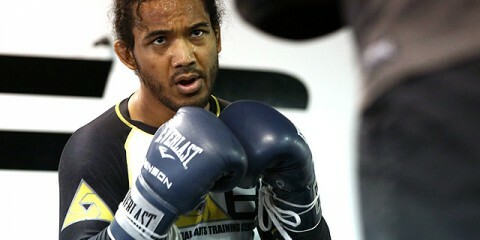 His current two-fight skid should extend to three fights when he meets Lawal in the Bellator cage. Lawal probably can’t compete with the likes of Matt Mitrione at the heavyweight level, and even someone like Fedor Emelianenko could be pushing it. 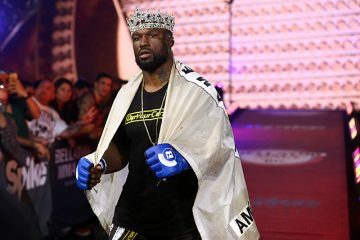 However, Lawal is an interesting candidate in this heavier weight class and could be an option for a four-man tournament to crown the next Bellator heavyweight champion. Bellator is teaming with BAMMA, a top British promotion, for this event, which is based in Ireland. While five fights comprise the Bellator 169 card, BAMMA 27 is taking the place of a traditional preliminary card. The BAMMA headliner is a bantamweight title contest between champion Tom Duquesnoy and challenger Alan Philpott. If Duquesnoy wins, should Bellator fans expect to see him tossed into the mix against the likes of Eduardo Dantas, Joe Warren and Marcos Galvão in the near future? 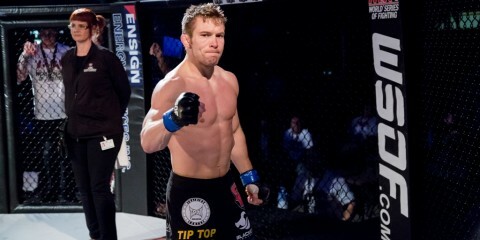 Does he stand a chance against these top-tier Bellator fighters? Let’s be clear. Duquesnoy should absolutely be fighting guys like Dantas, Galvão and Warren. In fact, he’d probably beat the latter two men. If Bellator hasn’t already made contact with Duquesnoy’s reps to bring him onto the roster, the company should. 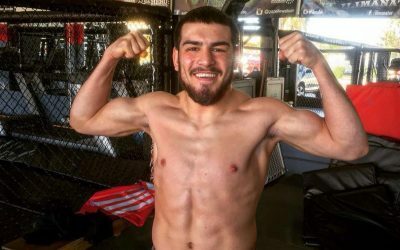 The 23-year-old is a very high-level prospect and Bellator would be benefit from his inclusion in the organization’s bantamweight division. Duquesnoy has striking that could be very dangerous for the likes of Warren and Galvao. He isn’t a one-dimensional striker, either. Instead, Duquesnoy has a wide-ranging arsenal that uses all points of his body to make contact. It’s not just his punches and kicks that factor into a fight. He also has elbow and knee strikes that make him deadly on his feet. It gives his opponent more to think about and forces the opponent to adjust their defenses. Duquesnoy isn’t limited to the striking game. He has a solid grappling game as well. That could very easily give someone like Dantas a challenge if the two were to fight. Dantas was out-grappled in his first fight with Warren. Duquesnoy is arguably at Warren’s level — or, if not, then he will soon be. 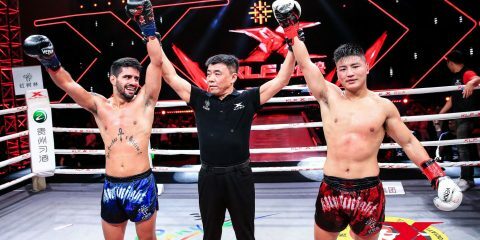 Duquesnoy’s lone loss came against Makwan Amirkhani. Really, this is a solid loss. Amirkhani has been a huge success in his first few fights in the UFC. Duquesnoy could very well soon join him in the big leagues very soon. We’re now 10 fights removed from the loss, too, and Duquesnoy has improved in all areas to become a dominant force in BAMMA. I’d expect him to join the ranks of Bellator. The Bellator and BAMMA co-promotion means Bellator only has to contribute its own main card to this event, while BAMMA takes over for what would otherwise be a rather meaningless preliminary portion of the show. 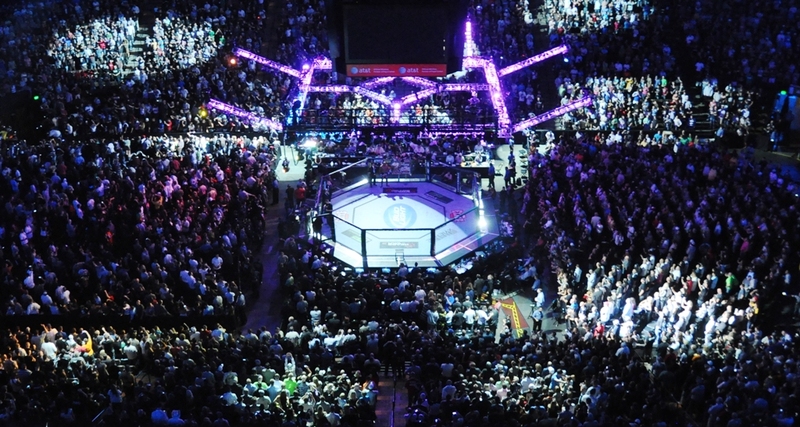 Should Bellator implement this strategy for U.S. fight cards in the future? I actually really like this idea. I don’t know why this hasn’t been done for every card up until this point. 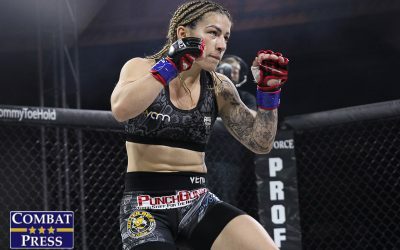 This approach helps Bellator tremendously for a few reasons. First, it spreads out Bellator’s own roster among its cards. That in turn will help keep Bellator from having a card like Bellator 168, where the main event and subsequent fights weren’t that big on paper. You lose eyes with extremely watered-down cards. Sure, the Bellator 168 event was backed up by kickboxing. European cards tend to be an afterthought that can get by with just guys from that specific country, too. Yet, it doesn’t help the grand scheme of things. Bellator should want as many eyes as possible on its cards, and Alessio Sakara’s fight with Joey Beltran simply won’t cut it as a main event. 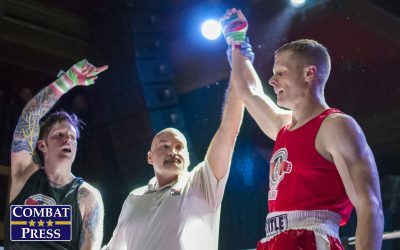 The guys on the prelims aren’t, for the most part, headliner-worthy, but they can be suitable match-ups for a guy like John Salter, who instead fought somebody with one professional fight. It takes the pressure off Bellator to have to make the prelims interesting. This is also beneficial in the way that both BAMMA and Bellator succeed. BAMMA gets tied to a top promotion that will help with the marketing of its own card, and the fighters get some more mainstream exposure. Typically, I’m not covering a guy like Tom Duquesnoy. But, thanks to this card, he’s one of the top talking points of the entire event. The proof is just a few paragraphs up. It’s flat-out good marketing for the smaller promotions, and especially for those abroad that don’t typically draw in the American audience. Daniel Weichel seems to be flying under the radar on this card. He fights Brian Moore in a featherweight match-up at Bellator 169. The former title challenger is always fun to watch. He has a grappling game that isn’t just the typical grind. Weichel will make things happen on the ground and look to finish. Furthermore, he has solid striking to add some unexpected elements to his game plan. Weichel almost defeated Patricio Freire, but the Brazilian champion was saved by the bell and promptly finish Weichel in the next round. Weichel brings a lot to the table. 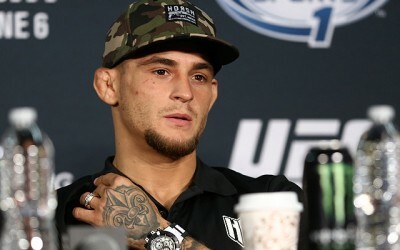 He should be a fighter to watch in the featherweight division.